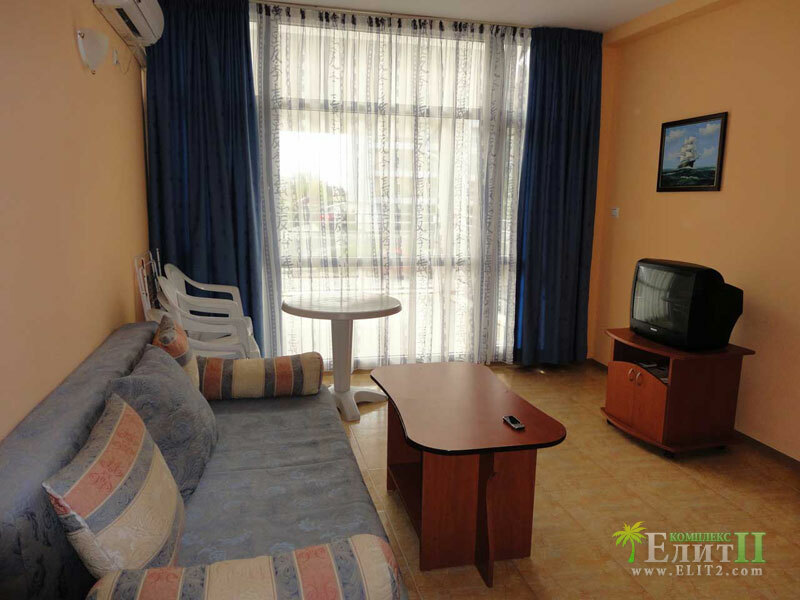 Elit 2 complex offers to its visitors the opportunity to stay in cheap and luxury furnished two bedrooms apartments. The two bedrooms apartments for rent are suitable for two couples or a family with two or three kids. The two bedrooms apartment is made of one bedroom, living room, kitchen corner, terrace, bath and toilet. The furniture includes a mattress bed with night stands, living room set and closet with hangers. For additional convenience, our apartments have: TV, A/C, an iron is provided at your request, unlimited internet access, option for cable TV and many more. More pictures of the apartments for rent in Elit 2 community can be found on our Facebook page Cheap apartments for rent in Sunny Beach. Do not wonder to book a cheap one, two or three (two/one/three vs one/two/three?) bedroom apartment near Cacao Beach and get in touch with us by E-mail: …. or phone: +359 87 999 87 60.